So Vogue (February Issue) called time on the skinny jean. Women are wanting something that’s stiffer to hold them in place and make the derrière pert. Back in November I posted The Fashion Wind Blows #Vintage Levis 501 on exactly this subject. 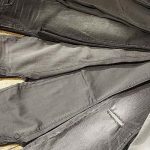 I’m not totally convienced women will boycott the soft Transcend fabric from Paige to opt for a 100% cotton denim that will get better with time. However everyone is different and I’ve said it many times, there’s a jean out there for even the fussiest of us. 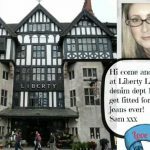 If you can’t get no denim satisfaction then Levis Lot No 1 service is where you need to head. 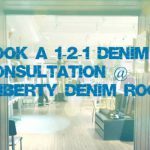 I believe the cost of a bespoke made by master denim tailor Lizzie Radcliffe is around £500! 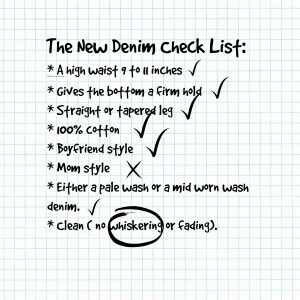 With this new hankering for a more rigid anti-fit style, the dream jean on everyone’s wish-list has a least two of these elements. Tick at will…. So of course like a true denim devotee I have been doing some homework. 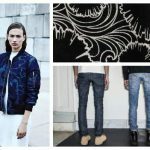 Below are some of the finest re-worked pieces, with embroidery by Bliss & Mischief, an altered state by RE/DONE and from the Levis Vintage vault. The price tag is high but your jeans will be a talking point every time you wear them. So if you fall into this camp you’re looking for something similar to the old school Levis but with a bit more of a designer edge. Strangely the price point will probably be less than the options above. 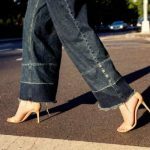 Denim brands Brock and MiH Jeans have taken the essence of what women love from Levis and spun it into their own. Again you can find some good look-a-likes at ASOS. In my lunch hour I’m going to try the new Levis Wedgie Fit . Levis say it’s the cheekiest jeans in your wardrobe Inspired by the 505 vintage Levi’s® jeans. Hug your waist and hips, showcasing your best assets. Cut for a close fit with added stretch, this pair features a raw hem and zips at the ankle for an even edgier option. Spot on! Just bought 2 pairs of vintage 501’s for $25 each. Fit varies wildly between vintage pairs. One has a 9 inch rise, the other 11. I like a higher rise and clean color. 100% cotton looks and wears so much better than stretch! Funny, I’m a textile designer for a fashion brand, and all the denim mills we source from have pretty much quit making 100% cotton denim. It’s hard to find!! Guess they’ll have to make the switch back pretty soon!